As the title suggests, I’m back from my week off. Between you and me, I didn’t go to a beach or anything like that, I stayed home and continued to make art. After recently finishing the ‘100 Day Challenge’, I felt recharged and renewed. I decided to tackle something I wanted to do for a while but just didn’t do…make my first 2D animation in Blender 2.8. A couple of week back I played around with the grease pencil (see Week 4) but I didn’t feel I was ready to make a short animation. I’m ready now. The first thing I needed to do was pick what I wanted my short animation to be. 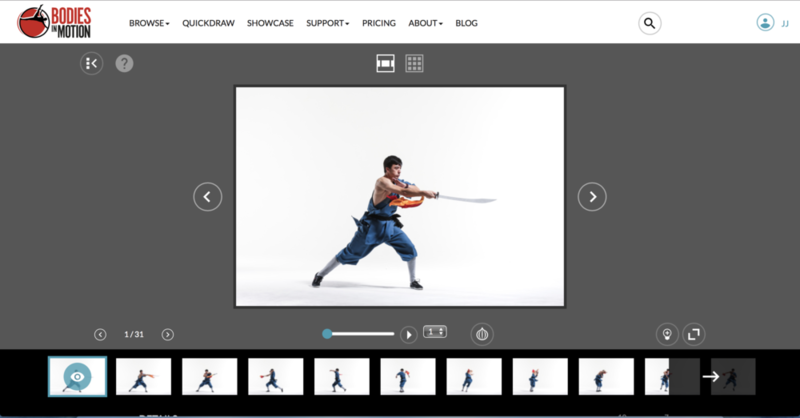 I decided to go to one of my favorite websites, Bodies in Motion, to pick a motion. 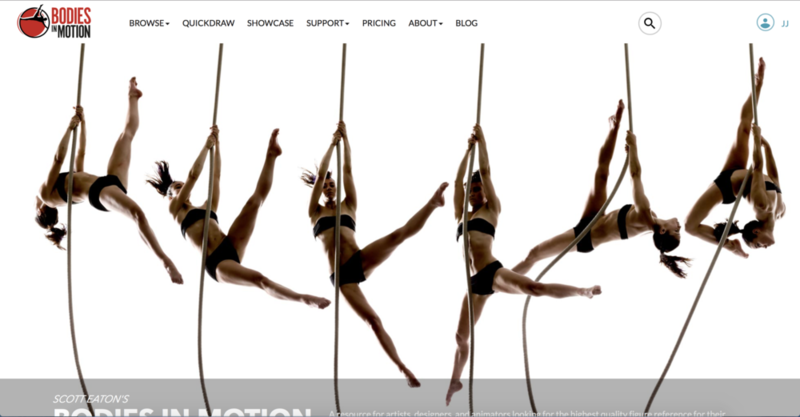 Screen shot of the Bodies in Motion website. 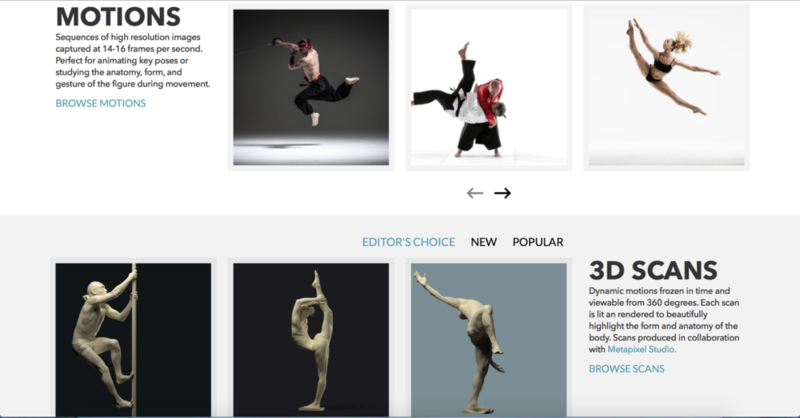 The Bodies in Motion website features a lot of great sources for artists including: motions, 3D scans, expression studies, Muybridge and so much more! For my first short animation, I decided to chose the Wushu 9 motion. Wushu, or Chinese Kungfu, is a martial art. Screen shot of the motion I decided to choose. The motion consists of 31 frames that I draw out each individually. Now that the reference image of the animation is chosen, I am going to go into Blender 2.8 Beta and start drawing each frame with my grease pencil. Screenshot of my workspace in Blender 2.8 Beta. At this current moment, I have finished the rough draft of my short animation, that can be seen below. My to-do list this week includes: inking each frame, cleaning up the unnecessary lines and adding color.